For those entering the cath lab market for the first time, there are scads of options on the table as you begin doing your homework and narrowing down the field. One of the major options you'll run across is whether you want a single or bi-plane cath lab system. To help you make that determination, we've compiled a short list of things you should know first. For years, the conventional wisdom in the interventional radiology space was that it was most advantageous for peripheral studies to be conducted on cath labs with larger detectors. Even here, on the Block Imaging blog page, we've discussed matching detector sizes with applications and recommended using 40 cm detectors like those on the Innova 4100 for peripheral. More and more, however, we're hearing from some users that they prefer using the 20 cm detectors on their Innova 2100s for this work. 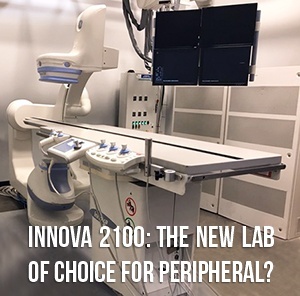 In response to this trend, we'd like to share with you why some cath lab users are using their small detector systems, like the Innova 2100, for peripheral studies. We get lots of questions about hemodynamic monitoring units, and none more often than the GE MacLab. The MacLab is the most widely used hemo system in the world, and for good reason: it's easy to use, and it measures an awful lot of vital parameters. In fact, the MacLab's range of capabilities is the subject of a good share of the questions asked of our team. Because of this, we've decided to lay it out for you here. 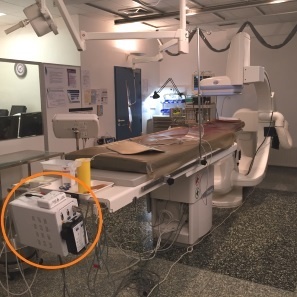 If you're in the market for a cath lab, you know that detectors can make or break a system. Field of view and flexibility are important factors to consider when making your final choice. You may also know about GE's three-prong approach to providing physicians cath detector options that fit their varying specialties. 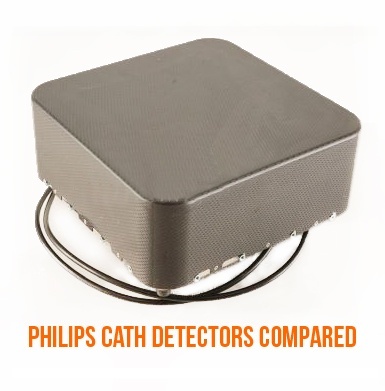 When it comes to providing these same options, Philips has taken a different approach with their Allura XPER FD10 and Allura XPER FD20 cath lab detectors. In the short video below, we'll break down for you the intended uses and unique aspects of Philips Allura XPER detectors. Already have a Philips cath lab model in mind? Click here to learn more and get a quote. GE's Innova series is one of the most popular, widely-installed cath lab product lines in the world, but they're certainly not a one-size-fits-all solution. Among the Innovas, there are three different digital detector sizes, each of which stands out from the others in certain sets of applications. So which one will fit the best at your facility? In the short video below, we'll break down for you which Innova detector size is best suited for which area of interventional specialty. Already have an Innova model in mind? Click here to learn more and get a quote.